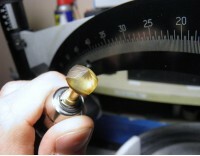 The secret of GemMaster accuracy is it's high quality components, electronic circuitry and craftsmanship, but also in unparalleled "standard" features. Dedicated Fac-ette owners, both hobbyists and professionals, approached us to design and machine parts, so they could continue to cut quickly and with precision. The GemMaster II is the easiest and most accurate faceting machine available, while slashing the amount of time required. 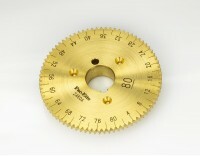 We supply a wide range of parts including Dops, Transfer Jigs and Index Gears. Custom parts are also available upon request. 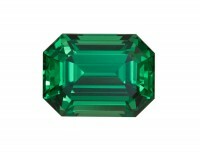 Manufacturers of the GemMaster II! By combining superior quality with accommodating features, the Precision GemMaster has proven a delight for both the expert gem cutter, as well as the novice. GemMaster, the most respected name in faceting equipment, brings world-class technology to the art of faceting. With its in-house mechanical engineer and master machinist the company has long set the standards throughout the world for faceting accuracy. The GemMaster II takes accuracy one step further. 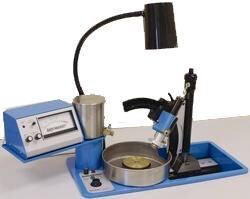 We know of no other faceting machine on the market today that has reached the same degree of precision or accuracy. This instrument was made with precision and care with the following aims in mind: to make your faceting easier, more accurate, faster, and therefore more enjoyable. The GemMaster II is created from the highest quality materials, including brass, stainless steel, chrome-plated tool steel, and anodized aluminum. 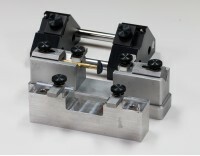 All parts were machined on Computer Numeric Controlled automatic machinery to aerospace tolerances for superior accuracy when cutting facets. 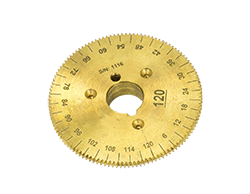 The graduations on the protractor, mast barrel, and thimble were etched with a laser beam to insure accuracy.